Adorable spring clip art can help brighten projects, or give a bit of pizazz to something you're working on. Brighten your stationery, make cute cards for kids, or insert the clip art into a newsletter - the possibilities are endless with this fun springtime clipart. Start the season off right with some happy spring clip art! Spring images can make anyone smile, especially kids, and can be used in many ways. If you're in need of a complete set up clip art images to use for spring projects, arts and crafts, or classroom activities, this is the perfect solution. The complete set here can be downloaded for free and includes all the flower, bird, bunny sun, umbrella and 'spring is here' clip art shown on this page. To download, just click on the file and a file will appear that you can print. If you need help, check out this helpful guide to Adobe printables. Download this full set of spring clip art. The excitement of spring comes to life with this cute clip art that features the phrase 'spring is here' along with butterflies and flowers. To get this, or any of the other individual clip art images below, follow these instructions. Click on the link in the image, and it will open in a new tab. Name and save the image to your computer. Download this spring is here clip art. Spring is filled with the wonder of new life. Show it off with this lovely image of a happy mother and her baby birds at their nest. Download this birds' nest clip art. Along with birds, bunnies are a favorite spring image. It's perfect for Easter projects. Download this bunny clip art. Say goodbye to the dreary days of winter with this sunny, smiling clip art! It will chase those winter blues away any way you use it. Download this sun clip art. Bright, beautiful flowers are another favorite hallmark of spring. These fun and whimsical florals can add a special touch to projects and cards. Download this cute flower clip art. Download this bees and flowers clip art. Rain is part of spring, but it can be fun to splash in the puddles. Use the pastel or red and white umbrellas for whimsy. Download this red and white umbrella clip art. Download this yellow, pink and green umbrella clip art. If you're looking umbrella clip art that has something a little extra, consider these two fun images featuring polka dots. Download this pink and lavender umbrella clip art. Download this blue, lavender and turquoise umbrella clip art. 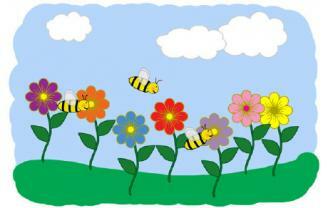 There are lots of different ways to use clip art with spring themes with children. They can be used for plenty of fun projects, but also for educational purposes. Add clip art to a blank journal page to help inspire kids to write spring stories or poems. You could also print a writing prompt to go along with it. Make multiples of one of the clip art images in a Word document, then print and cut out to use as counters. Do the same as above, but use them as reward cards for behavior during spring. If you catch a child doing something good, they get a slip with a great graphic, like the smiling sun, to add to their collection. Once they receive a certain number that you've determined in advance, they'll allow them a reward or small prize. Affix them to kids' treat bags for an Easter or spring party. Place them on note cards and put in kids' lunchboxes. Young kids may enjoy a spring book - use the spring images along with facts about spring to make a small booklet to use as a teaching tool. Use them to decorate bulletin boards or doors. These are also great for making fun craft projects, cards and more. Create original Easter cards or invitations for a spring event. Let the graphic inspire the wording. Print on cardstock and use to make pencil toppers or bookmarks. Use as cute countdown markers on a spring break count down calendar. Use on blank paper and personalize with your child's name so they have their own customized stationary to write notes to friends and family. Print on cardstock and affix small magnets to the back. 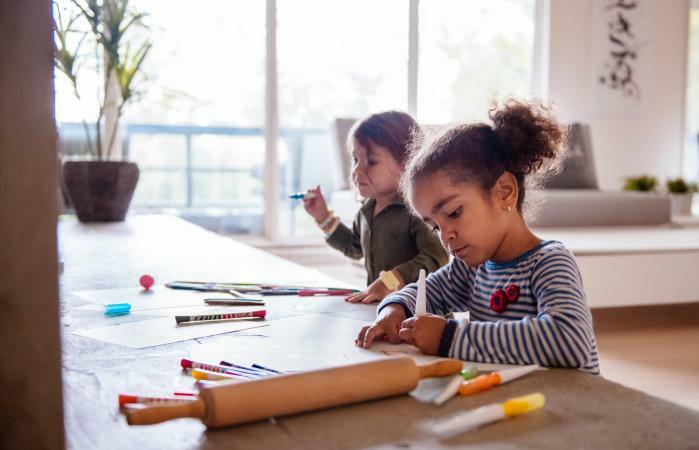 Young kids can use them to create scenes or act out stories on the refrigerator while you make dinner, or you can use them to hang their prized spring artwork and homework papers. Remember that many word-processing programs such as Word come with extensive clip art collections, so you may have clip art waiting for you on your computer. They won't have as many as you find on the web, but they are easy access and often a higher resolution. Another option is to purchase a special clip art software program or digital scrapbooking software. There are a lot of ways to use these springtime clipart images to help spark creativity. Give them to kids on a blank piece of paper and let them create Easter or Mother's Day cards. Make a banner for your home to simply welcome spring. Add glitter to the flowers, or cotton to the bunny to make the images really pop on a poster. Regardless of how you use them, they are sure to inspire and encourage your kids to enjoy spring.